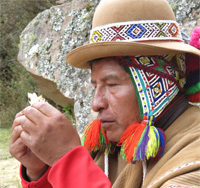 We will lead an eight day spiritual journey into Cusco's Sacred Valley, to visit sacred Incan sites, be in ceremony with the Q'ero shamans and experience their traditions. Previous attendees have had powerful experiences. Please see the Testimony page for comments. 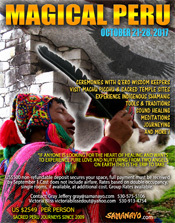 For a photo slideshow of our Yoga Peru 2014 click here or Magical Peru journey October 2013 click here. Cost: per person $2549. 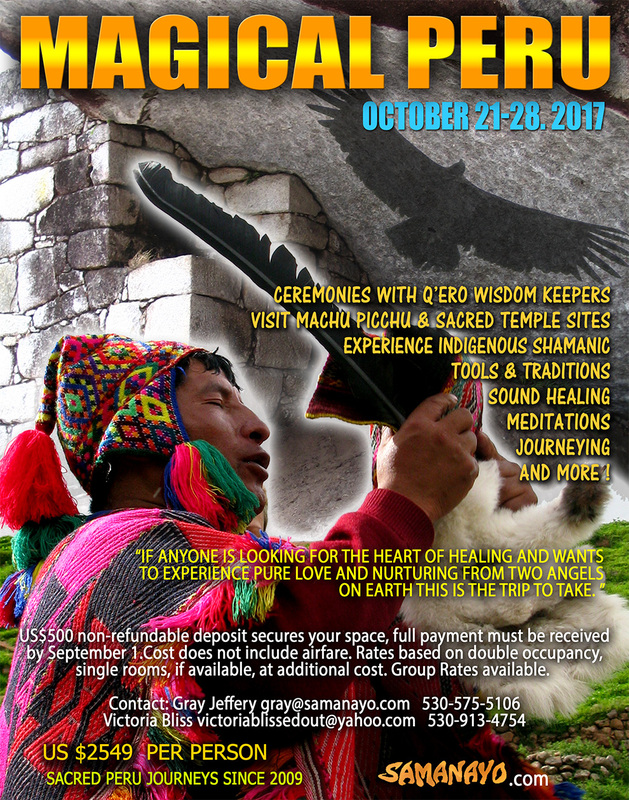 US$500 non-refundable deposit secures your spot. Full payment must be received by August 1, 2017. Group rates available. Maximum 12 people for this trip. Although these journeys are not arduous, it is good to be in decent physical condition.